To make your own template works with Invoice Manager for Excel (namely Uniform Invoice Software) (UIS), there are a number of works to do. 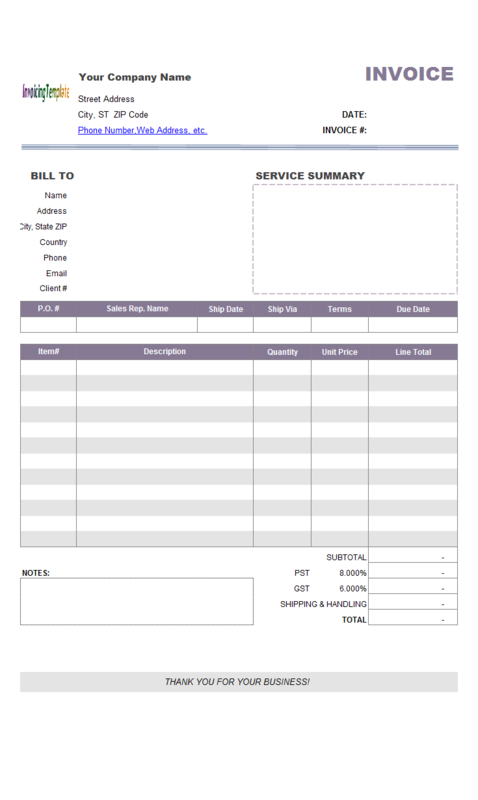 This simple invoice template for building & remodeling service gives a sample and details the steps. 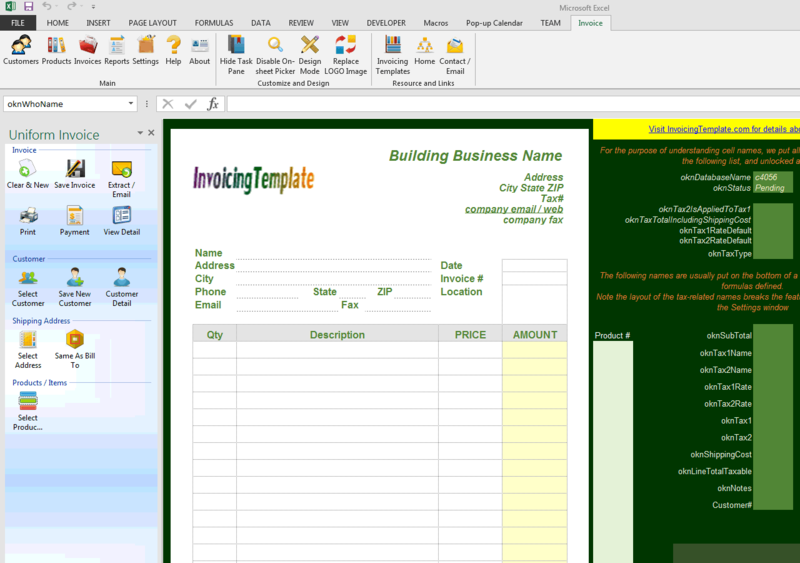 c4056 now includes the customized invoice template for the latest version of Invoice Manager for Excel. This is what you will see when you open simple-sample-template-building-remodeling.xlsx. Please also visit Construction Invoice, Simple Invoice for Construction Business and Construction Proposal Template if you are interesting in the business document formats and samples for building and remodeling service. 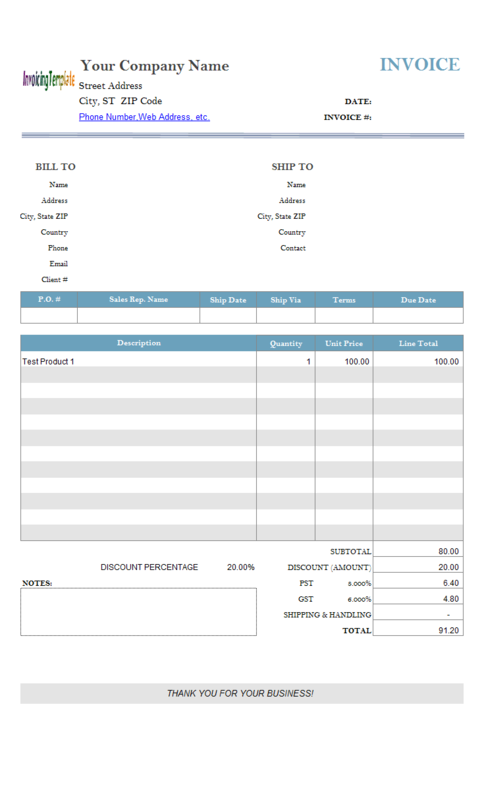 In the Creating and Customizing Invoice Template document, it was stated that all invoicing templates that works with UIS should be created from, or the final base template should be, the default template shipped with UIS. All templates available here (except this one) on InvoicingTemplate.com adhere to this rule. The reason for this is that, in order to have UIS work with a template, the template must meets the requirements of UIS, including (but not limited to) many hidden fields that specify the connection with database, preference for printing, options for PDF generating and emailing etc. So our recommendation is that, if you have a very special and private invoicing format / invoicing layout that you want to make it work with UIS, the best way to customize based on the default template shipped with the program, or based on any template that you can download here on InvoicingTemplate.com. Microsoft Excel provides handy and abundant tools for you to customizing our templates. That has been said, if you still want to use your own template with UIS to utilize all the powerful features such as database connection, management of customers, products, invoices and payments, reporting, etc., the good news is that - it is possible, although not so easy and quick. With this simple template sample, we details the steps and process required to integrate a building and remodeling service invoicing template with UIS. The result of this tutorial is a ready-to-use template that is suitable for businesses who offer building, construction, design, remodeling services. Download and try this template for free if you are in this business! 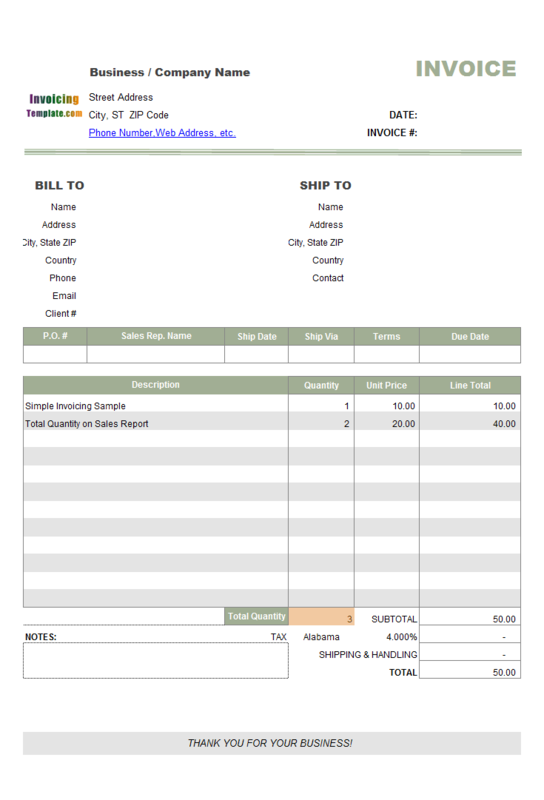 Let's how to make a building & remodeling invoicing sample work with UIS. First create a folder on Windows desktop or inside "My Documents". This will be our working folder. Copy 3 files to this folder: your own template (in this case, building-remodeling-service.xls), the default template comes with UIS (invoice.xlsx), the default database file comes with UIS (sample.mdb - but we renamed it to c4056.mdb for the purpose of publishing this document on InvoicingTemplate.com). 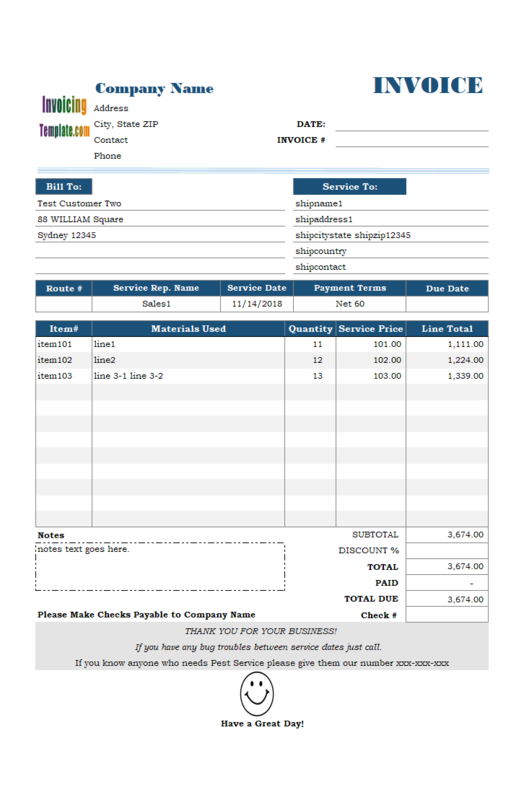 Click to select the invoice.xlsx template. 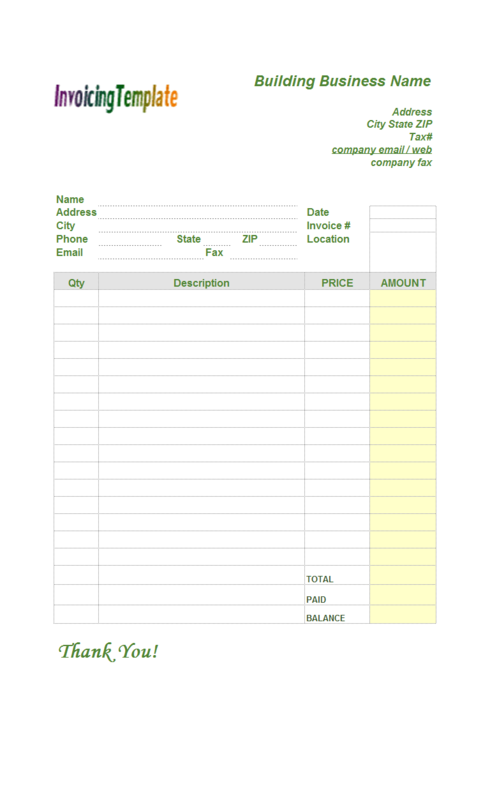 Right-click the worksheet name "invoice" on the bottom of the spreadsheet window. Choose "Delete" from the shortcut menu. This deletes the worksheet from the template. Right-click the worksheet name on the bottom of the spreadsheet window. Choose "Move or Copy" from the shortcut menu. From the "Move selected sheets to book" list choose "invoice.xlsx", from the "Before Sheet" list choose "Sales Report", and then click OK to copy the sheet. Close building-remodeling-service.xls without saving it. Go to invoice.xlsx. 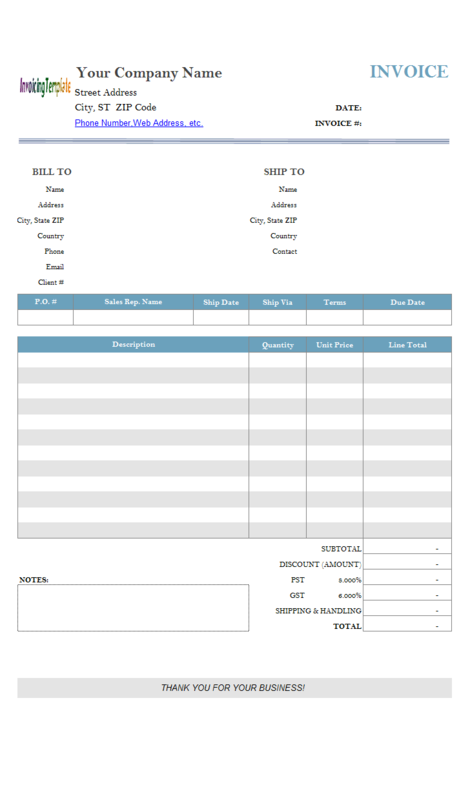 Rename the copied worksheet sheet to "invoice" - To do this, double-click the sheet name on the bottom of the spreadsheet, and then enter the new name "invoice". Now comes the most time-consuming part - name the cells. There are several rules here. All cells / fields that should be saved to database must have a name (How?). 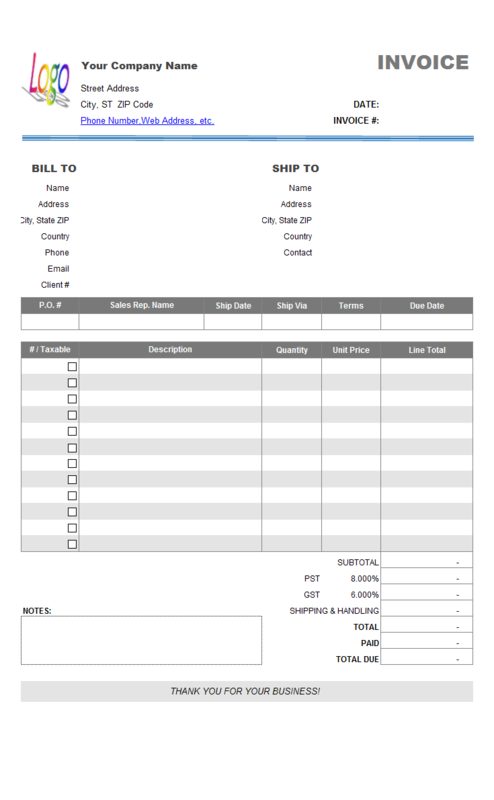 UIS has its own name list for the Invoice worksheet, some of them are required (cannot be omitted). See the table below. 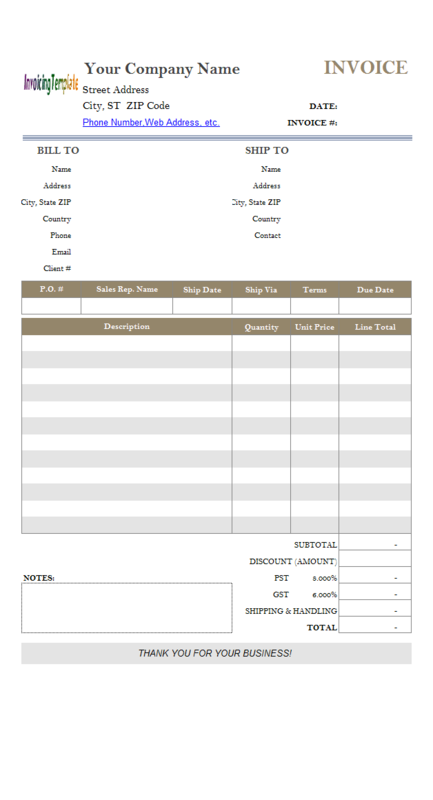 The default template shipped with our invoicing software is also embed into the "default template" worksheet, which you can click to open to better understanding this table. If a cell name required by UIS should not appear on your printed invoices, put it outside the printable area. For example, we put "oknSubtotal", "oknShippingCost" and all tax cells outside the printable area. Since this building and remodeling service business does not these fields. If you need a field that is not in the UIS name list, define it as custom field. For example, the "Location" field is not in the name list defined by UIS. This is added to the "Invoice Header" as a custom field, with "oknLocation" as its cell name and "Location" as the database field name. For the purpose of demonstration, in this sample we put all usually-hidden names on visible area outside the printable area, where we also put the name as clear text to the left of the defined name. For example, the cell $T$6 was named oknDatabaseName, then the text "oknDatabaseName" shows on $S$6. Since value of "oknDatabaseName" was written each time UIS connects with a database, this cell was unlocked. Once you have all the cells correctly named, save the template, exit Excel and reopen the template. Test it. oknStatus $N$5 No The status of current invoice, "Pending", "Paid" or "Void"
oknInvoiceID $K$5 No The "Save Invoice" command fill this cell automatically if left empty. 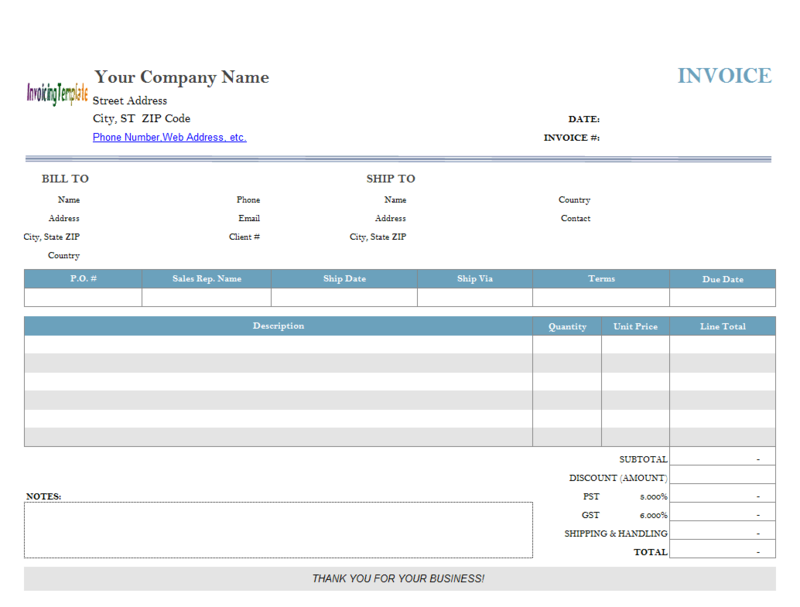 Uniform Invoice Software shows the content of an invoice if you enter an existing invoice# into this cell. oknOrderID $D$19 Yes Purchased Order Number. On the default template it is below the label "Order ID"
Detail section. Each line has these names defined. For example if you have 5 lines, you need to define 5 names from oknProductID_1 to oknProductID_5, and 5 names from oknProductName_1 to oknProductName_5, and 5 names from oknLinetotal_1 to oknLinetotal_5, and so on. If you need a batch naming tool, contact us. oknPayments $B$39 No Total amount of payments applied / posted to this invoice. oknNotes $D$38 Yes The "Notes" of each invoice. Every business is different, and we know that you want to use an invoicing form that is specific to your business. 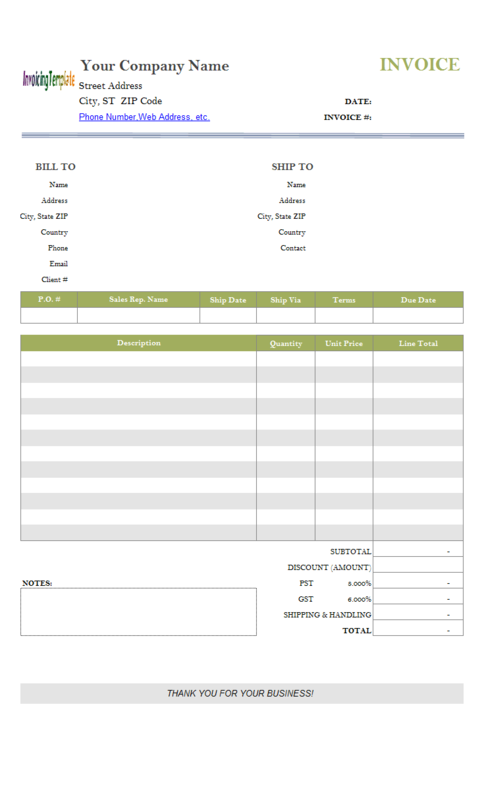 With this template sample, we copy an existing invoicing layout for a building and remodeling service business into a template built for our invoicing software, and make our invoicing program work with the new form. Like other form designs here on InvoicingTemplate.com, Simple Sample - Building & Remodeling Service Invoice is free (offered to you at a price of 0.00USD). It works on Windows XP and all newer versions of Windows, and Excel 2007, 2010, 2013, 2016 or 2019.